Simple doodle flower and dots pattern. Vector illustration. The elegant template for fashion prints. Simple doodle flower and dots pattern. 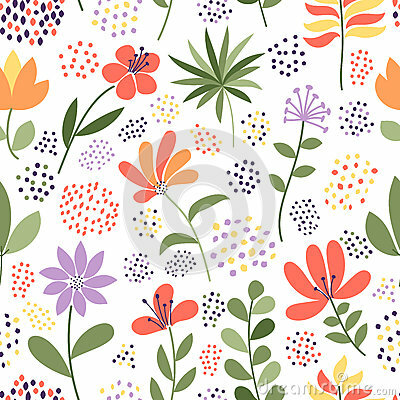 Seamless cute multicolor floral background. Vector illustration on white background. The elegant template for fashion prints, backdrops etc.